The number of people at risk of homelessness who also wrestle with mental health concerns is steadily growing. Sadly, these are the people who can all-too-easily slip through the cracks of housing services. Servants Community Housing has been operating affordable accommodation and safe housing for those on low incomes for over a quarter of a century. Our passion is built around offering a structure in which vulnerable individuals—many of whom suffer from long-term mental illnesses—can live in relative comfort. Our housing model is as simple as it is effective: careful resident selection, live-in management, rules that need to be adhered to and the provision of two meals each day. This sets the scene for an overwhelmingly positive experience. 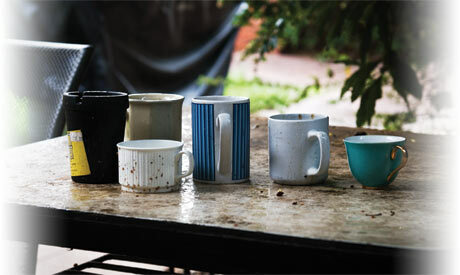 Most of our residents come to us having been in and out of psych facilities, having led itinerant lifestyles, been homeless and who are often quite lonely and afraid. 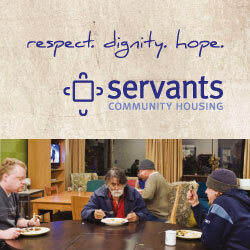 Servants offers people a safe environment in which to live, with a strong sense of community and belonging. In 1986, Hawthorn West Baptist Church created Servants to manage a rooming house facility in Mason Street, Hawthorn. Our Christian heritage is of great importance, as evidenced by our value of every person as created in God’s image. We seek to serve residents, offering them the respect, dignity and hope that they deserve.